New Delhi: The urgency with which the Narendra Modi government has gone about initiating the process of watering-down the Land Acquisition Act has surprised many, who less than a year ago witnessed the BJP lend its whole-hearted support to ensure the very same Act was passed in Parliament. The Rural Development Ministry, in a note submitted to the Prime Minister’s Office (PMO), is reported to have suggested a series of amendments to the Land Acquisition Act that seek to dilute provisions such as the mandatory consent of 70 percent of those affected in case of public-private partnership (PPP) projects and the requirement for a time-bound Social Impact Assessment for all land acquisitions. “I am surprised by this because when I organised the long march many BJP leaders supported me and said they agreed with my demands. I am waiting to see what kind of opposition will come from within the BJP to the amendments to the Land Acquisition Act. We wish that within BJP a large number of people will oppose this move. If that doesn’t happen, I will be very surprised. That would mean that it was all Opposition politics and it had nothing to do with reality,” said Ekta Parishad’s P V Rajagopal whose year-long ‘Freedom march’ of landless farmers and adivasis demanding land reforms made headlines last year. 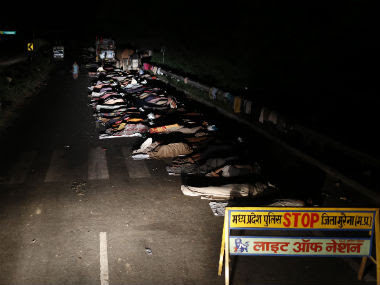 The final march to Delhi was called off after then Rural Development minister Jairam Ramesh signed an agreement with Ekta Parishad promising to address their key demand of ‘land for the landless and shelter to the homeless’. “Now, I want to see what position the Congress is going take on this. They had promised that they would be bring an Act in parliament to give shelter and land to everyone but they didn’t do that…We have reached a situation where all political parties are the same. They want to give land to the corporate houses and make India a ‘super power’ by pushing millions and millions of people into super poverty. I am very concerned,” said Rajagopal, who was also part of the task force that was set up by the previous government, as part of the agreement with Ekta Parishad, to draft a national land reforms policy. Social activists who were involved in the drafting of the national land reforms policy have also raised concerns over the lack of public discussion on the review of the Land Acquisition Act. “Firstly, one doesn’t know the exact formulations. They should be put in the public domain before they go to the Cabinet. If it has gone from the ministry to the PMO, the ministry should have put that on its website…No matter what laws the government passes or what amendments it suggests, it is vital to discuss it with the public, to know what people think about it. Secondly, people cannot be coerced against their will, finally people in those areas will stand up. It is better that we are wiser about the law,” said social activist Nikhil Dey. Proposals such as restricting the Social Impact Assessment (SIA) to large/PPP projects have raised concerns of the Act losing its thrust for transparency and accountability in land acquisitions. “The Act did introduce some transparency measures and how those can be argued against, I don’t understand. If you don’t have these processes or allow these public platforms to be able to look at it, you are only postponing to a later day a much worse process of conflict,” said Dey, who is co-convenor, National Campaign for Peoples’ Right to Information (NCPRI). While the government is reported to have started consultations with political parties to build consensus on the amendments, land rights activists like Rajagopal have also decided to raise their concerns with political leaders. “I am going to take it up immediately. I will write to leaders of political parties saying that this is unacceptable and see what their reaction is. It will be too late if we don’t start moving in that direction. There is no point protesting after everything has happened. We have to protest now,” said Rajagopal. Article FirstPost Rajagopal Land Acquisition ActLink to the same article on its original platform, FirstPost India.